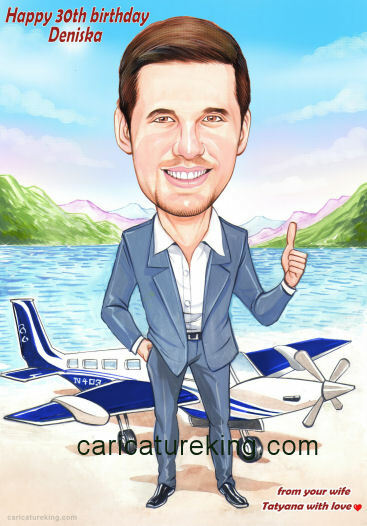 Here is a great way to say happy birthday to a pilot with a gentle caricature by artist Harry. As with all jobs we like to get the details right, so it is the exact model and color of aircraft. So other than Xmas, if you know someone with a birthday coming up, think caricature for a memorable keepsake that will have price of place!